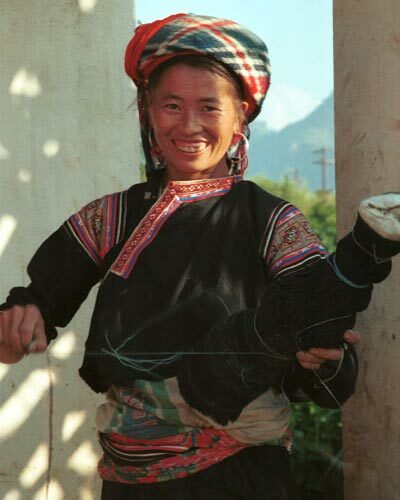 Flowery Hmong woman untieing a pleated skirt which has been rolled to keep the pleats in place. It is just possible to see what is probably and insert of batik in the skirt. Note her blouse with applique and embroidery. Outside a house in small road-side village near Phong Tho (Phong Thanh) in Lai Chau Province.